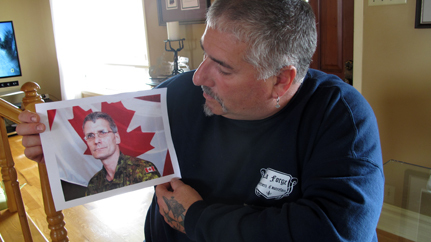 MONTREAL – The cousin of Warrant Officer Patrice Vincent, 53, killed by a terrorist near Montreal on Monday, accuses Canadian authorities of failing to take the jihadist threat seriously. In an interview with QMI Agency, ex-soldier Sylvain Guerette also revealed Vincent was only a few months from retirement when the homegrown jihadist intentionally struck him with a car. The grieving cousin called on law enforcement to “wake up” and protect Canadians from terrorists.